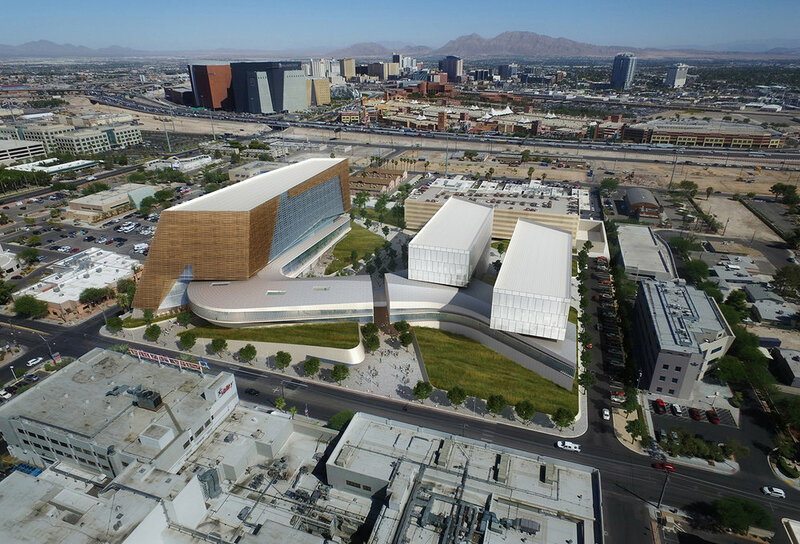 The future UNLV School of Medicine is a collaboration with CO Architects in Los Angeles, California. 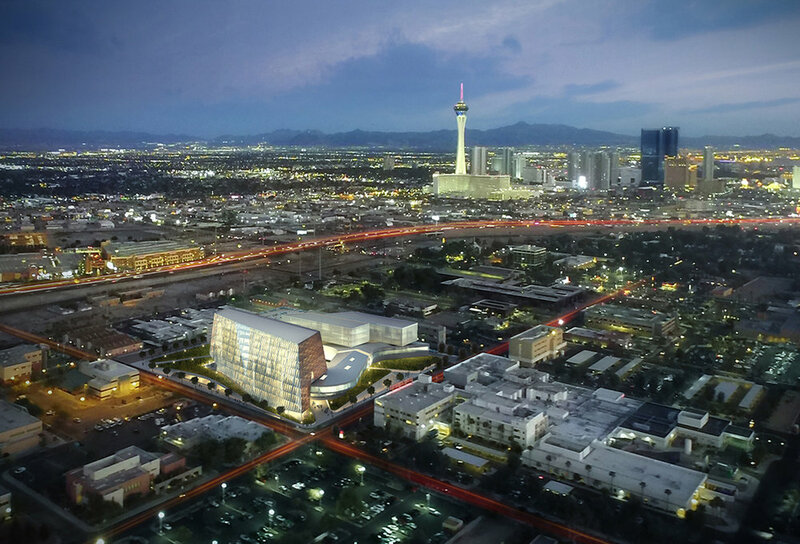 Completion is currently projected for 2022. The building will be approximately 280,000 square feet to support a class size of 120 students, with potential for future growth, as well as 200 clinicians and a health sciences library that will serve the University and the medical community at large. The building interacts with the landscape at multiple levels, inviting the community into a central courtyard, where entrances to both the school and the library are easily identifiable. The ‘ribbon’ that is the library engages the academic tower at the second and third floors, where it connects to the epicenter of student life, the Forum. The Forum is a flexible triple height space for students, faculty and the community to gather and host events such as graduation, lectures, concerts and receptions. The facility will include offices, classrooms, lecture halls, library and community life spaces.